It is not unusual for medications to be prescribed to a cat "off-label". 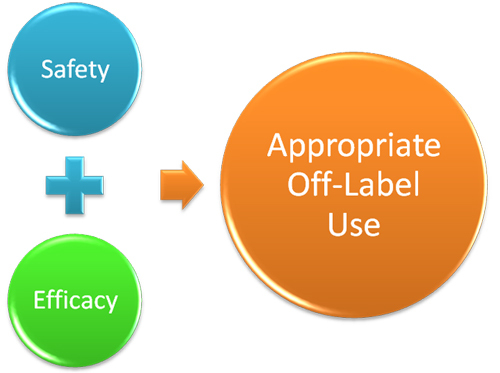 "Off-label" means the medication is being used in a manner that is not specified in the FDA's (Food and Drug Administration) approved packaging label or insert. Every prescription drug marketed in the U.S. carries an individual, FDA-approved label. This label is a written report that provides detailed instructions regarding the approved uses and doses for the drug. These instructions are based on the results of clinical studies that the drug maker submitted to the FDA. When a company wants FDA approval for a new medication, it has to prove that the product is both safe and effective. The approval process is long, complicated, and very expensive. To simplify matters the company typically picks the most common (and lucrative) condition that the drug could be used to treat in humans and runs the trial for it. To avoid the time and expense involved with running similar tests for approval in different species of animals, companies simply suggest the drug be used off-label. In the United States & Canada, the FDA regulates drug approval — but not drug prescribing. Both prescription drugs and over-the-counter drugs can be used in off-label ways, although most off-label use centers on prescription drugs. 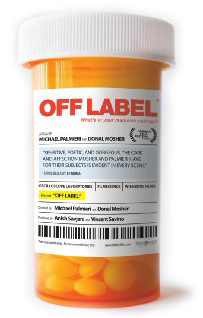 The off-label use of medications is so common that virtually every drug is used off-label in some circumstances. More than one in five human outpatient prescriptions written in the United States are for off-label therapies. Off-label prescribing is entirely legal. Off-label use does carry certain risks. Veterinarians routinely use drugs “off label” since most drug companies never run test trials of their drugs specifically for cats or dogs. Once a new medication is on the market, veterinarians will try the new drug where it seems appropriate for cats and dogs and for various conditions for which the drug is marketed for humans, while adjusting the dosage appropriately. Many of the medications in common use with cats are off-label. .